The Druk Holding and Investments (DHI) issued a notice last month calling on all its companies to implement the revised parental leave with effect from July 1st this year. This means employees of DHI and DHI owned companies can now avail six months maternity leave and ten-day paternity leave. The decision to implement the revised parental leave was made following several meetings to assess its pros and cons and the cost implications, said Sonam Lhundrup, the Associate Director of DHI’s Corporate Services Division. “For DHI and its companies, productivity is very important and there would definitely be impact in terms of financial cost. But at the same time, DHI took into consideration other aspects like social benefits and the benefits of improving efficiency and productivity by allowing mothers to have an enhanced maternity leave,” he added. It was agreed the advantages outweigh the disadvantages. The company’s decision comes two years after the Royal Civil Service Commission (RCSC) implemented the revised parental leave. “DHI, as a holding company taking care of so many companies and managing so many commercial entities, had to be a little cautious. For that reason, the discussions took time,” Sonam Lhundrup added. A task force committee, involving members from DHI, finance ministry, State Owned Enterprises, BCCI and CSOs, recommended the implementation of the extended leave. A feasibility study was also carried out in 2016. The revised maternity leave applies to those employees who are currently on maternity leave. It also applies to those who resumed office but whose child has not turned six months as of 1st July. These mothers can avail the balance leave. In addition to the extended maternity leave, a nursing mother will also be allowed to take a break from work every four hours for an hour to nurse the child until the child turns two. The enhanced maternity leave would benefit close to 2,000 female employees of DHI and DHI owned companies. However, the leave doesn’t apply to the DHI controlled companies, such as the STCBL and the Dungsam Polymers and the DHI linked companies of Penden Cement, BBPL, BFAL and RICBL. 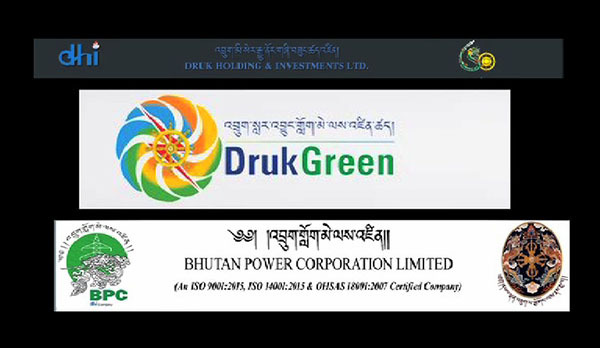 “With respect to DHI controlled companies where we have 50 per cent or more shareholding and DHI linked companies where we have less than 50 per cent shareholding, a consensus has to be arrived among the shareholders as per the corporate governance law,” Sonam Lhundrup said. “While having seen this as beneficial, we could go to the extent of only encouraging these companies and if this matter comes up for discussion among the shareholders, DHI would be extending its support,” he added. DHI revised the parental leave following an executive order from the finance ministry issued in September last year. The order asked DHI to revise the parental leave for the government owned corporations at par with the civil servants.